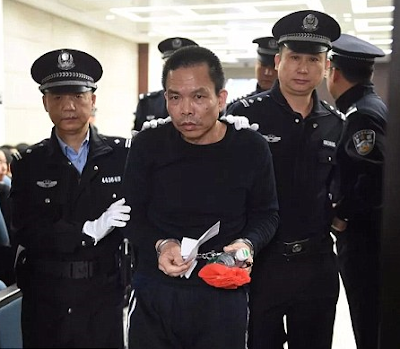 Chinese drug lord, Cai Dongjia, 55, known as the 'godfather of crystal meth' was sentenced to death. He is the former chief of Boshe village in Guangdong Province. He used his political power to make crystal meth and provide protection to local drug dealers. 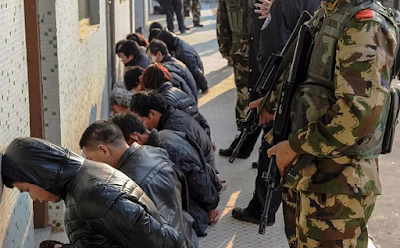 During Dongjia's six-year tenure, Boshe grew to be China's 'village of drugs' and produced a third of the country's crystal meth. 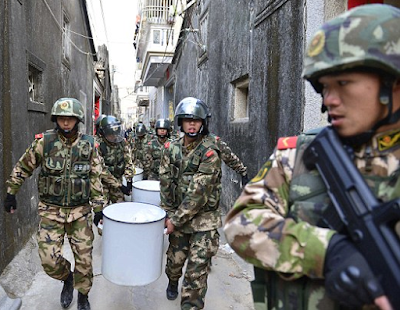 Cai Dongjia and his accomplices had been making crystal meth in Boshe since 2011. It's said that hundreds of Boshe residents - from children to pensioners - participated in producing, selling and transporting crystal meth. The village was busted late 2013. 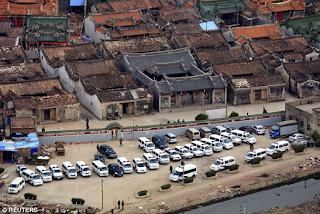 Guangdong police deployed 3,000 armed officers, speedboats and helicopters - the largest drug bust in China. Police seized three tonnes of meth, 260kg of ketamine and 23 tonnes of raw material used to make drugs.